Fabian Hollaus was born in Mittersill in 1983. He received his MSc. (Dipl.-Ing.) in Visual Computing in 2011. 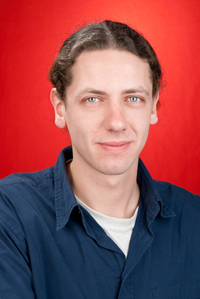 He has worked since 2011 in the ‘The Enigma of the Sinaitic Glagolitic Tradition’ project at the Computer Vision Lab, Institute of Computer Aided Automation, Vienna University of Technology. Currently he is working the DI4DH project at the CVL. His research areas are document analysis and cultural heritage applications.